I've just come home from a most moving weekend. It was the annual conference of SCBWI British Isles* - an organization of writers and illustrators that has had a huge impact on my creative life. This year my book Tall Story won the inaugural Crystal Kite Prize for Europe, the only peer-given prize for children's books. I was awarded the trophy at the conference and asked to deliver a speech. I was also surprised to be given this year'sOutstanding Contribution Award. It was particularly poignant for me because last year the prize was won by my friend Margaret Carey, whom we lost to cancer last summer. Receiving the two awards was like getting a huge hug from an organization that has been family to me since I joined in 2002. I am not supposed to be doing anything online at the moment, as my book deadline looms, but I just wanted to share my Crystal Kite acceptance speech. I wrote it with a lump in my throat. Here is the shortlist, and below, my speech. Before anything else, I’d like to say thank you, Natascha Biebow (regional advisor of SCBWI BI), who was the first person I met in SCBWI – luckily when I met her, I didn’t realize she was a commissioning editor at Random House or something embarrassing might have happened. Thank you to all the members who voted for Tall Story. 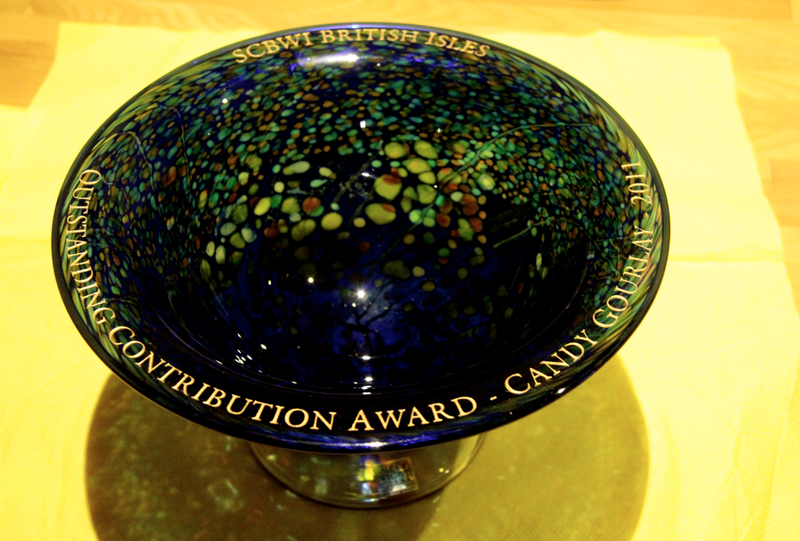 I am so honoured to be chosen for this award. 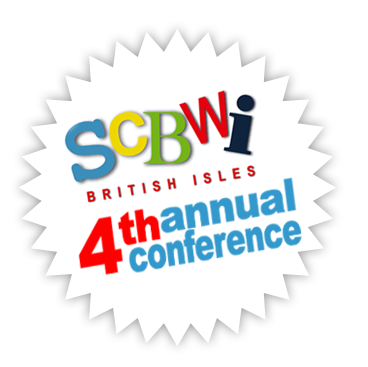 I hope everyone’s had a great first day of the conference – I remember my very first SCBWI conference. It was in Winchester and it was 2001. The keynote was Geraldine McCaughrean. I was very nervous. I didn’t know anybody and I’d spent so many years being pregnant I was not in training to be sociable. I was also nervous because I’d left the latest baby in the care of my husband and there were two big rugby games on that weekend. But most of all i was nervous because I thought this was it. This was going to be my big break. In my bag I had all the picture book texts I’d ever written, ready to thrust at the first editor or agent I met. I figured that they were going to be overwhelmed by my astonishing talent and I was going to walk into that conference a wannabe and walk out, an author. Why, yes, I think it did. I walked into the Conference a total beginner. I thought that that children’s books looked simple enough, surely getting published was going to be easy. I thought I knew how to write – I’d been a journalist for many years. But after the conference, I discovered two things. 1) Writing for children? Easy? No no no! And 2) Writing for children was totally utterly the life for me. That was ten years ago. Maybe I was a slow learner. And so I began my quest. I attended all the conferences, signed up for the professional series, volunteered ... and as time passed, I became a better writer and i became a little bit wiser to the children’s book world. The rejections also became a little bit better. They began to sound a lot more personal. Some were even handwritten. Dear Mister Gourlay, Many thanks for sending us your manuscript. Although we thought it was a sweet story nicely written, unfortunately it is not quite strong enough for our list at this time. I’m sorry for the wait you’ve had for this reply. More than anything else however I was beginning to Get It. • I GOT that Publishing is a business and editors and publishers are not just looking for talent, they are looking for a product. • I GOT that There were a LOT of good writers out there, a lot of good writers who had ideas more brilliant than mine. I had to raise my game. • I GOT that to give my writing a fighting chance, I needed a special something, a unique selling point, that set me apart from the rest. It took me a while but then I discovered what that special something was: ME. • And finally ... I GOT that this long journey was not just about getting published, it was about LIVING A CREATIVE LIFE and all the striving, the struggling, the honing your craft, the finding the time, the rejections? That was part of the package. I had to stop yearning for the Creative Life because the Creative Life was NOW. Early this year I was lucky enough to win a grant from SCBWI for my volunteer work. It was a grant to attend the New York conference. One of the keynotes was YA author Sara Zarr. She described those dark, awful times when she thought her writing was ready but nobody was paying attention. That was so totally me (I’ll bet there are few in this audience who see themselves there too). There came a point when I knew that I was ready. I had done my time at the slush pile. I DESERVED to be published. But nobody was noticing me. Why was that? I spent some time blogging about it on my blog Notes from the Slushpile – if you can call whining, blogging. When oh when was it going to happen? I am not embarrassed to say I looked long and hard at self publishing – could I go through it without a publisher? But self publishing had such a bad press. I didn’t have the courage. My husband tiptoed around me. He was careful not to use the word, but when I was feeling very very down, I tortured myself, asking: is this just a HOBBY? Friends who knew I was writing would ask, how’s it going? Are you published yet? They listened politely while I explained that it was not a quick process – probably thinking, she’s just not good enough. Which was exactly what I was thinking. My cleaner told me she was cleaning for someone who was also trying to get published. ‘She sits at her computer, writing all the time. Like you, she doesn’t comb her hair and wears rubbish clothes [Candy's note: Frances disapproves of my jeans and t-shirt approach to fashion] . Writing and writing and getting nowhere. JUST LIKE YOU.’ Thanks a lot, Frances. Then one day Frances came in to work with a gobsmacked look on her face. ‘What’s her name again?’ I said. Rosoff? I’d never heard the surname. Then I won a place in the first Undiscovered Voices anthology. This is it, I thought. It’s going to happen. I got signed by an agent. So my agent tried submitting my coming of age novel. Guess what the rejections said? It’s a quiet literary novel. Too quiet. Then I wrote Tall Story. And just like that, the door opened. And now here I am, up on a podium, talking to you. It was official, I was living my dream. Except the reality was not quite what I thought. Yeah, it’s been one of the best years of my life ... but it has also been one of the worst. Here are the good things: I saw my book in the shops. I met my writing idols – Jacquelyn Wilson, Michael Morpurgo, Malorie Blackman – I had my picture taken with them ... whether they liked it or not. I actually get fan mail. My Mum is proud of me. The Philippines is proud of me. Tall Story was shortlisted for eleven prizes. But instead of enjoying every short-listing, I found myself panicking. I had to write my second novel but I was finding it hard to write, I just couldn’t find the words. My blood pressure went sky high. I was grinding my teeth at night and my dentist was in despair at the damage I was doing. I was distracted and not paying enough attention to family things. Sometimes I was convinced that I would never write another book again. It wasn’t writer’s block as much as writer’s freeze. When I finally handed my second manuscript to my editor last summer, I knew that there were a lot of things wrong with it. I went to a meeting with my editor, Simon Mason (author of Moon Pie, shortlisted for 2011 Guardian Prize) ... I armed myself: I prepared a synopsis, a step outline, I got ready for a technical discussion – cut here, paste there. Uh oh. I thought. Here comes the BUT. BUT it’s not quite strong enough for our list at this time. But Simon's been in the business a long time, he’s seen his share of second book blues. For half an hour he just told me how great my book was. I came out of there with my head spinning. I stopped looking for failure. And when I began to focus on what was right instead of what was wrong, I found the book that I wanted to write. A few weeks ago, Michael Morpurgo was asked in a Guardian interview: ‘What is the greatest threat to publishing today? Actually, I know many editors and publishers who believe in nurturing their authors, but times have changed since the days when editors fished their authors out of the pubs, paid their gambling debts and stood guard as their genius sat at the typewriter. The pressures publishers are under today - economic or otherwise – are mind-boggling. And as for TALENT ... hah! Look around you. This room is FULL of talent. One thing I’ve learned is that in this business, Talent is not the bottom line. You need a big idea, good luck, and PERSEVERANCE – LOTS OF IT. But who am I? This past year has been such a whirlwind that I kind of lost track of myself. It’s not true that nurturing no longer exists in this business. Nurturing is what we do here in SCBWI. This business is such a roller coaster ride and it’s great to have so many like-minded fellow travellers sharing the highs and the lows ... we mentor each other, cheer each other on, cheer each other up, and generally lift each other up to the next level. 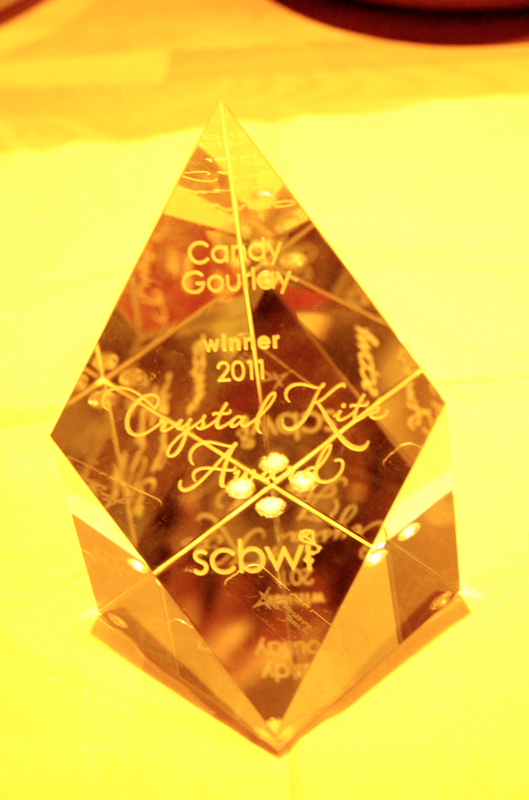 So Thank you, SCBWI. Not just for voting for Tall Story, but for nurturing me.